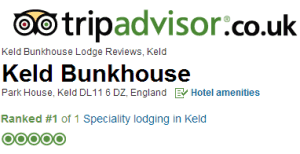 The whole bunkhouse can comfortably sleep 9, with the option to increase this to 12 using a put up bed and the double sofa bed in the lounge. The Bunkbarn can sleep up to 12 if using the double sofa bed in the lounge. Please note if you are providing your own bedding for those sleeping on the sofa there is no charge, or alternatively we can provide bedding for £10 per person. For longer stays just give us a call on 01748 886549 and we’ll be happy to work out a price for you and please note that special rates apply on New Year’s Eve and bank holidays.